I very much like this chart - it needs no explanation. It surfaces the by-team clustering when things go well. If the lines are tall, team owners will be worried. 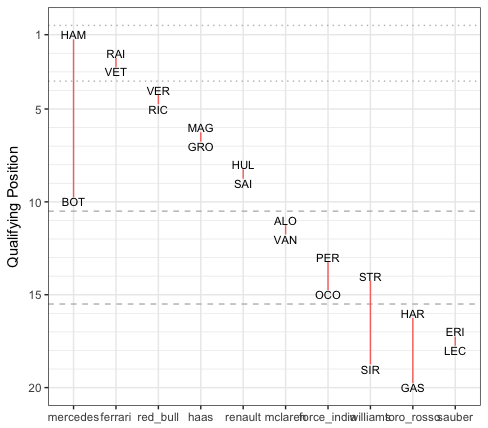 A natural follow-on question is how they finished - I think a nice addition would be to stagger team finish data.